wheres waldo Scav Race from BCS on Vimeo. Pretty clever video promoting the Where the Hell is Waldo? 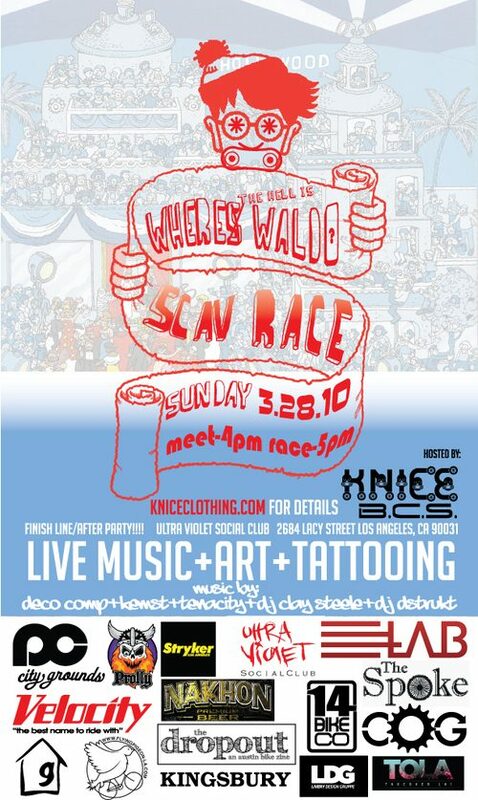 Scavenger Race that’s coming up in LA. Check out Kniceclothing.com for more information! The final flier is below. Should be a blast. Don’t miss it! Come March 28th you better be there!